With the opening of the new Boca Raton Airport customs facility, international flights from other countries will be able to go directly to Boca Raton. This will allow residents of Boca Raton, Boyton Beach, Delray Beach and neighboring areas of Palm Beach County and Broward County, to arrange international flights to/from their home airport without having to stop at additional airports. Part-time residents of South Florida flying from Canada can book a one-way charter flight to arrive closer to their winter homes. Privaira offers several private jets that can fly you to your international destination. 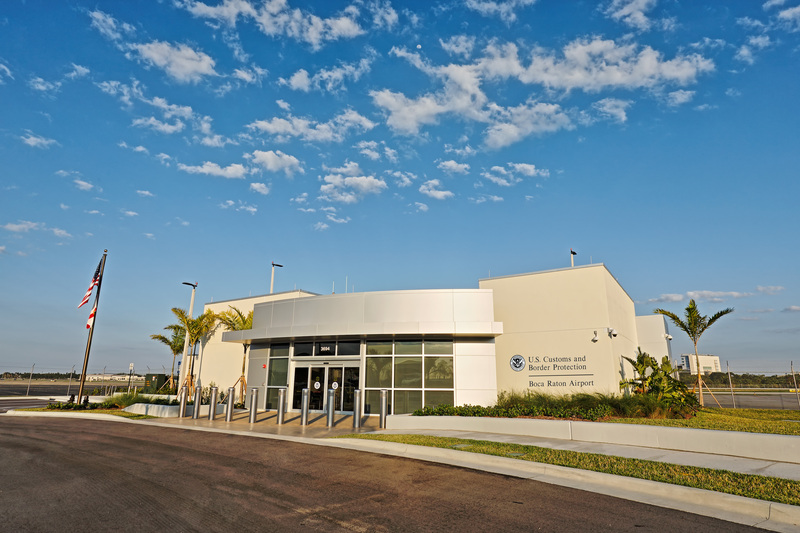 The modern, 4,400-square-foot, state-of-the-art federal inspection facility is designed to meet all Department of Homeland Security standards for international arrivals. It will also utilize numerous energy-efficient features, similar to the LEED Silver Certified Boca Raton Airport Authority administration building that opened in 2015. Customs services may also help to mitigate potential disruptions caused by a Presidential TFR. If President Trump decides to visit his property in Mar-a-Lago, creating a no-fly zone around Palm Beach International. Making Boca Raton Airport a viable alternative. Privaira was proud to host the grand opening party for the Boca Raton Customs Facility. Previous PostStay healthy when flying with us!